Spiraling fuel costs, frequent power cuts, "energy wars with fuel-rich countries holding consumers to ransom--these are just some of the issues that are helping to ensure that microgeneration of power, at the individual building level, is becoming a more and more attractive option to grid power. 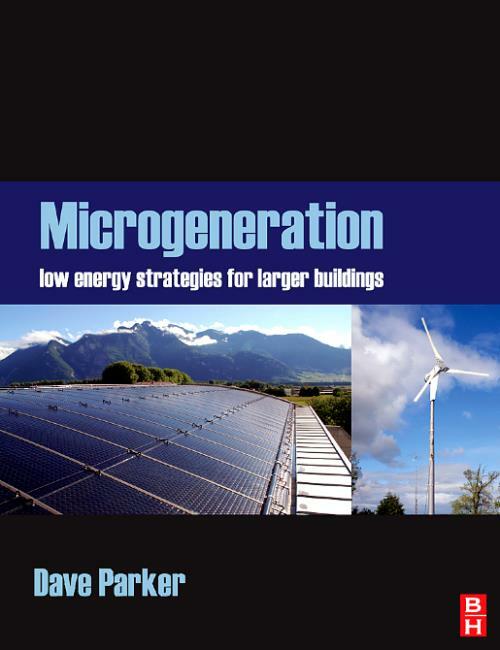 In this book author Dave Parker describes the many and varied microgeneration options, from wind turbines and solar power to biomass and heatsinks, and even gives advice on how architects and developers can best access the increasingly large amount of government funding to help implement these strategies. This book can help those in the building and construction industry to really make a difference in the fight against climate change, by explaining how to utilize the technology already within our reach.